The Maui Nui Makai Network, a grassroots coalition of community partners who are working to protect and restore the islands’ coral reefs and nearshore marine resources, received The Nature Conservancy’s Kākoʻo ʻĀina Award at a community celebration this past weekend on Maui. 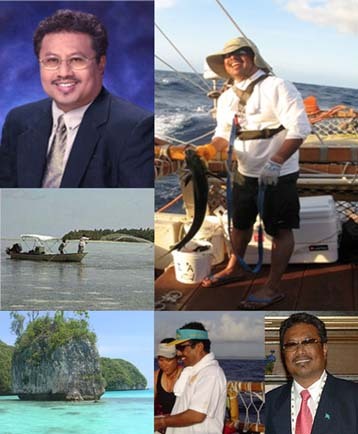 The Kākoʻo ʻĀina award is issued annually by The Nature Conservancy to individuals and groups who provide substantial and lasting support for conservation. 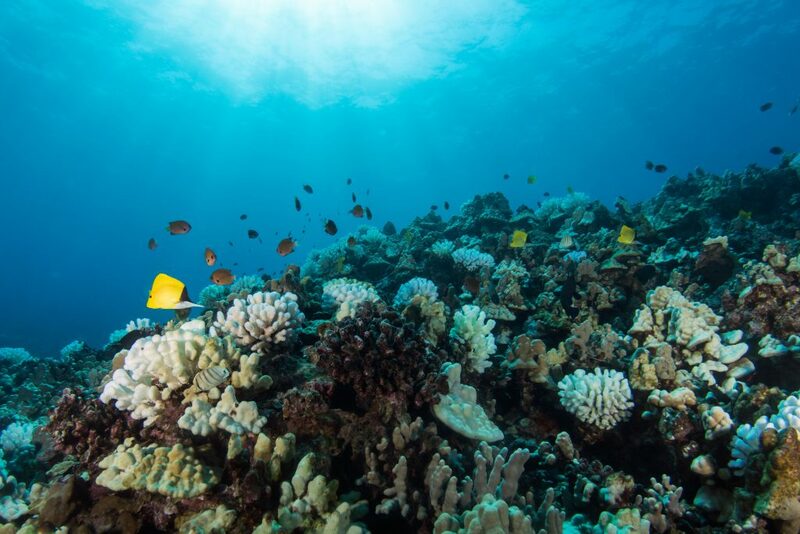 “The members of the Maui Nui Makai Network are building a new paradigm for Hawaiʻi, one that is engaging communities to return our reefs and fisheries to abundance,” said Suzanne Case, the Conservancy’s Hawaiʻi executive director in an organization press release. “They have been active for many years, and today the collective marine area they are stewarding is over 11,000 acres. They are practicing pono fishing practices and implementing threat abatement and monitoring strategies. 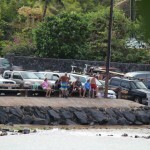 They embody the proverb E Ola Ke Kai, E Ola Kakou—as the ocean thrives, so do we,” said Case. 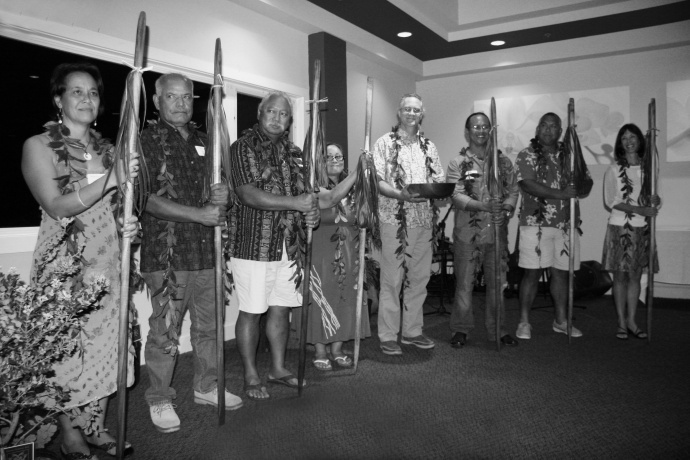 During the award ceremony, each honoree was given an ʻōʻō, or Hawaiian digging stick, crafted by Maui artist Calisto Palos. Also during the ceremony, The Nature Conservancy’s senior scientist and cultural advisor, Dr. Sam ʻOhu Gon III, offered an original oli or Hawaiian chant honoring the seven representatives of the organizations. Among the leaders accepting awards on behalf of the seven groups were: Leimamo Lind-Strauss from the Kīpahulu ʻOhana in East Maui; Uncle Mac Poepoe from the Hui Mālama O Moʻomomi on Molokaʻi; Sol Kahoʻohalahala from the Maunalei Ahupuaʻa on Lānaʻi; Scott Crawford from Nā Mamo O Mūʻolea in East Maui; Ekolu Lindsey from Polanui Hiu in Lāhaina,West Maui; Jay Carpio from the Wailuku Ahupuaʻa in Cental Maui; and Robin Newbold, chair of the Maui Nui Marine Resources Council. “Community groups that care for the places where they live and work are a big part of the solution that can reverse this decline,” the organization announcement stated. 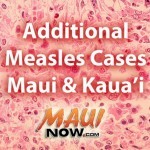 Since the award was established in 2006, there have been two other Maui recipients including: Maui biologist Art Medeiros and Molokaʻi cultural and environmental educator Penny Martin.